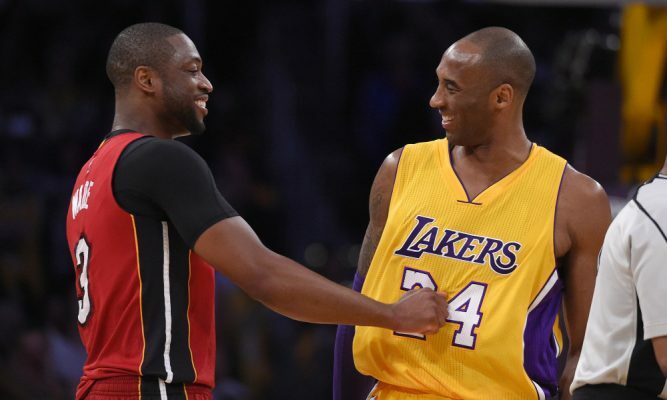 Dwyane Wade is on the verge of taking the court for the last home opener of his storied NBA career, and amongst those sending the three-time NBA champion well wishes is fellow NBA legend Kobe Bryant. The Miami Heat will host the Charlotte Hornets for their 2018-19 home opener on Saturday night. Before taking the court, Wade sent out a message to his many fans Twitter. It wasn’t long before Bryant sent a message of encouragement right back. With Wade due to be the latest NBA great to call it a career next offseason, it will surely be a special opportunity for him to get the chance to bid farewell to fans all over the league throughout this season. While it is already sad to think about saying goodbye to Wade for good, Bryant’s message is just another sign of how impactful Wade has been throughout his incredible career. Hopefully Wade will give fans a lot of reasons to cheer this season before he rides off into the sunset.